You should be hanging out with these guys on election night. I'd like to take this opportunity to quash a vicious rumor regarding my partner in crime—Mr. Mick Dumke—and our upcoming election-night extravaganza at the Hideout. Despite everything you may have heard, Mick will not—and I must emphatically repeat, not—be dispensing heaping helpings from his personal stash of medical marijuana at Tuesday's show. I'm not even sure Mick has a personal stash of medical marijuana. Though, if he did, there wouldn't be anything wrong with that. 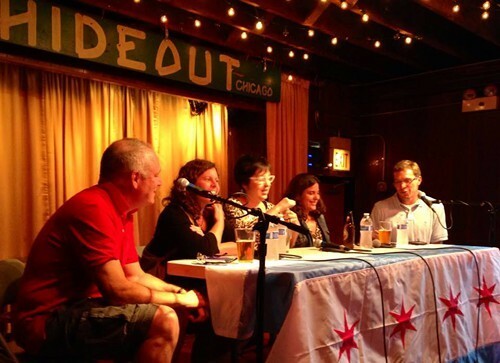 Instead, on hand for the big show will be Alderman Will Burns, state rep Kelly Cassidy, and maybe columnist Rick Kogan, our old friend from the Tribune. And if that's not enough . . .
We're also featuring Matt Farmer and his band, the Blue State Cowboys, singing a few of their greatest hits, including my current favorite, "Plutocrat (The Ballad of Bruce Rauner)." 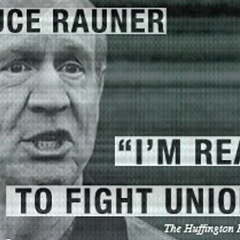 Just to remind you that it's election night and Rauner is the rich Republican running against Governor Pat Quinn. By the way, Matt very generously agreed to waive his usual five-figure appearance fee, if I make it clear that he and the band are also available for birthdays, block parties, bar mitzvahs, and brises. Alderman Burns served in the state house before he went to the council, so he knows a thing or two about state politics. He's also an ally of Mayor Rahm. He and I will try our hardest not to argue too much about that. State rep Cassidy knows everything you need to know about state politics and, if we're lucky, she'll tell how she once introduced a bill that would require men seeking erectile dysfunction pills to sign a form acknowledging that such pills can cause priapism. Raise your hand if you know what priapism is. Also on hand will be CAN TV talk show host Ken Davis, who will be giving us updates on the breaking election results. So you'll know as much as anyone watching on TV—only you'll be in a bar. Is life good or what? Speaking of CAN TV, they'll be broadcasting live so, if you're too lazy to get over to the Hideout, you can watch from the comfort of your own home. Where, no doubt, you'll be enjoying your own personal stash of medical marijuana. The show starts a 7 PM, after the polls have closed. It's $5 at the door. And the Hideout's located at 1354 W. Wabansia.